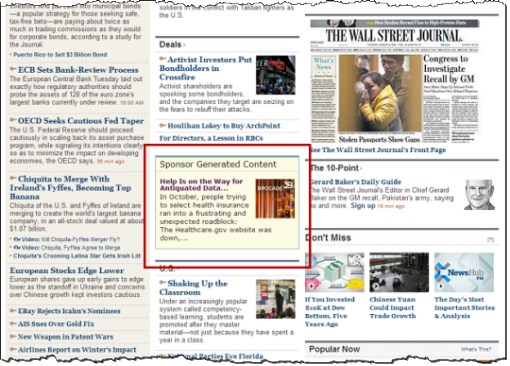 From what I understood, Native Ads are usually adopting the look and feel of the platform. 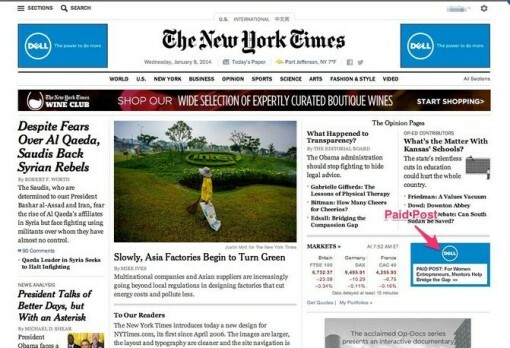 However, the Dell ad example shown in The New York Times, seems slightly out of place- specially with their blue background. Ideally, that blendness would give a bit more spike. But keeping the same background does not confirm it as native ad. 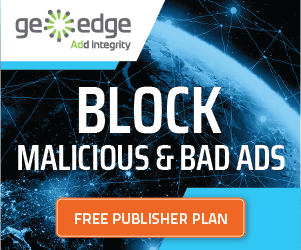 It should go with the content, blend or merge with it so that it does not look like a banner ad and many more measures to look on.